This pack contains retextures averaging 8x original size for the entire city area of City Trial mode. Most of the pack is a repackaged combination of excellent contributions from members of the Dolphin Forum community. 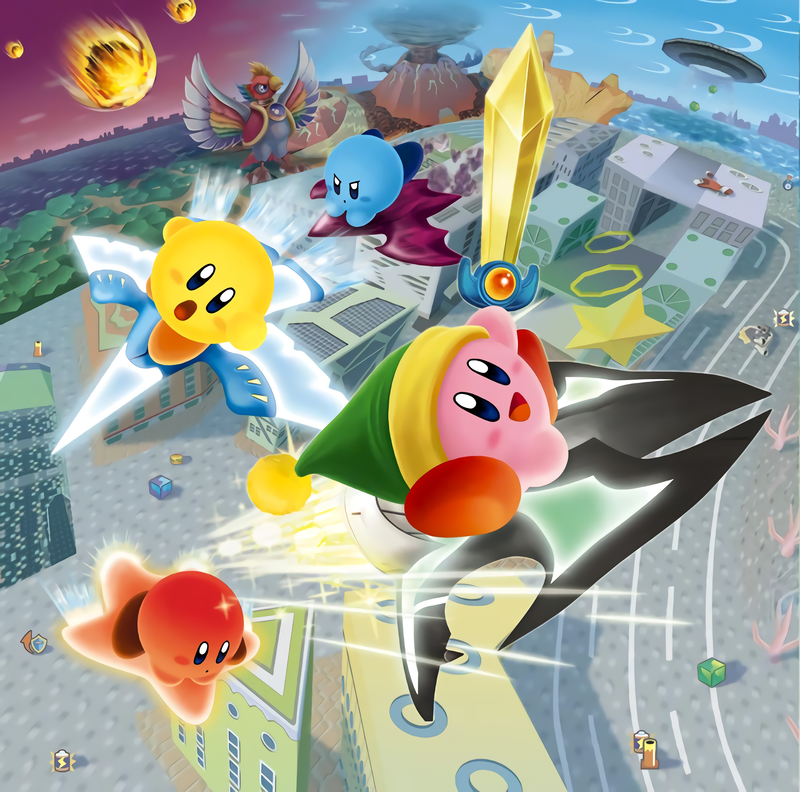 This pack focuses on the City Trial mode of Kirby Air Ride. I do not have any intentions of retexturing or upscaling the rest of the game or doing any additional work on this pack. If you would like to take over this project simply PM me on the Dolphin Forums. I used the "trace bitmap" tool of the vector graphics program Inkscape to vectorize original game textures. I also used xBRZ scaling for all the star icons. Use the widescreen codes on the wiki. Wow, very impressive! Looking forward to this when I replay this game! (07-09-2017, 09:22 AM)CDI Wrote: "
I saw this in the forums and I just wanted to say that this awesome and thank you for giving my work a shout out. Keep up the amazing work. Winning is temporary, looking cool is forever. (07-14-2017, 03:24 AM)gameboy96 Wrote: "
New DDS BC7 release on my google drive!